To the author, one of the most captivating aspects of Japanese cuisine is the modifications to many global dishes based on the local taste. 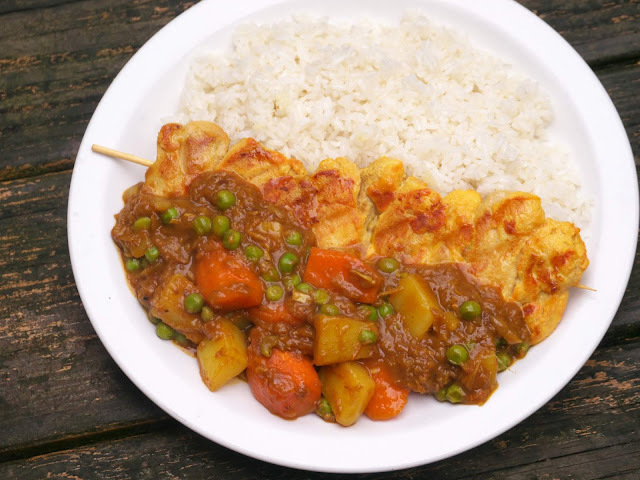 The embodiment of such Japanized food is Japanese curry; the thick and sweet brown stew, often containing chunks of carrot and potato, most likely served on rice with a side piece of Chicken Katsu. Since the readily available store-bought roux did not satisfy my hunger for the restaurant-style Japanese curry, I decided to develop my very own recipe. After several attempts, I developed a recipe for homemade curry roux, essential for making the dish. The final curry, made by my roux, had the quality of those served in restaurants, surely to become the reader’s new favorite curry, particularly when one prefers a mild but flavorful curry. 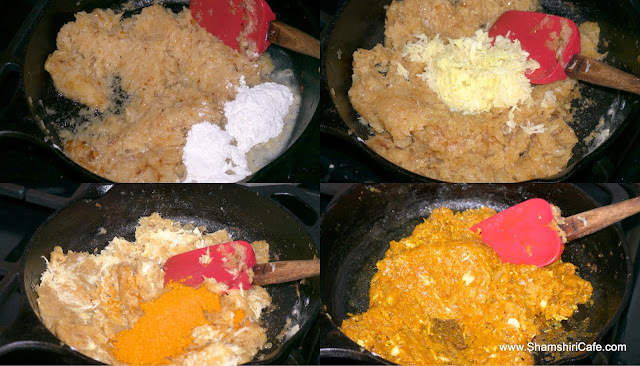 The general approach: The crux of the matter in preparation of Japanese curry is the roux. Almost certainly bought from supermarkets in Japan, the dark roux is what makes the curry uniquely Japanese. My approach here is to make the roux in large volumes and freeze the paste into small cubes. The preparation of the roux is time-consuming and labor-intensive. The resulting roux lasts long in the freezer and eliminates the need to repeat the process every time one fancies Japanese curry. 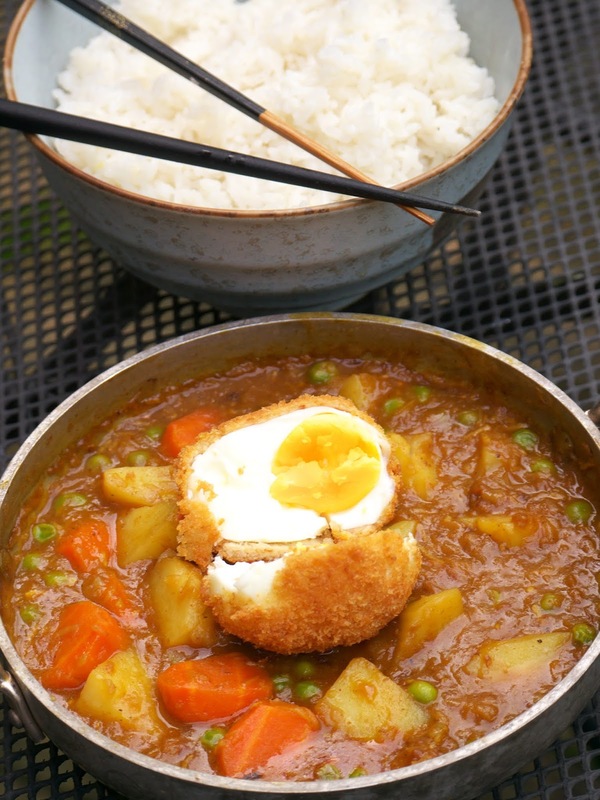 The sweetness: Authentic Japanese curry is slightly sweet. Such sweetness is often introduced by the addition of diced apple to the curry. 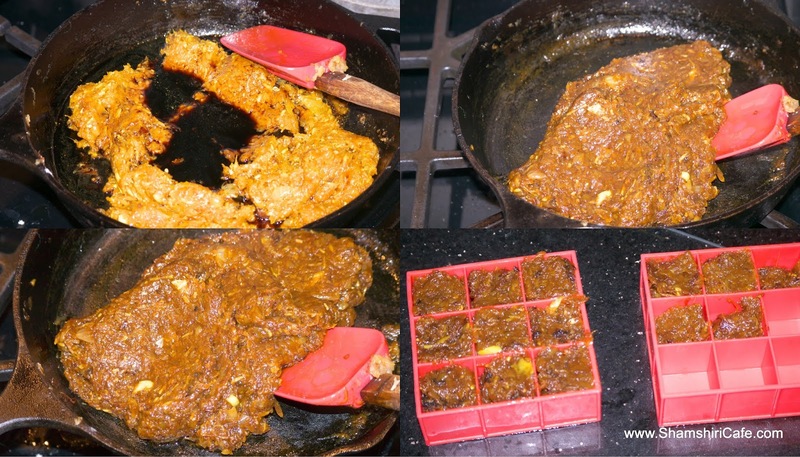 My approach here is to stick to my Persian routes and to extract the sweetness from deeply caramelized onions, plenty of it indeed. As I wrote once, caramelized onion is the major agent to inject sweetness to often sour Persian dishes, in order to draw the flavor balance. Furthermore, deeply caramelized onions exhibit deep Umami features. To soy or not to soy? : Browsing the Internet for Japanese curry recipes, I realized opinions on the use of soy sauce in the curry differ. Some recipes do not ask for the sauce and some ask for Worcestershire sauce. I believe soy sauce is what makes the curry Japanese and, therefore, decided to use plenty of it in the roux. Soy sauce also results in the achievement of the deep brown color, as seen in the restaurant style versions of the dish. Heat up ¼ cup of the oil in a thick pan, set on medium-low heat. Add the sugar and salt and caramelize the sugar. Add the grated onion and vinegar, increase the heat until all the moisture is evaporated. Reduce the heat to medium-low and keep stirring for 10 minutes or until the onions starts to lightly carmelized. Add the ginger and garlic and toast in the oil for 2 to 3 minutes. Add the rest of the oil and flour and keep stirring for another 10 minutes. Add the curry powder and keep stirring until the roux is dark brown. Add the soy and deglaze the bottom. Stir for another 10 minutes or until a very brown roux is achieved. Congratulations! Your hard-earned roux is ready! Freeze the paste into small cubes and use a cube or two when the time comes. 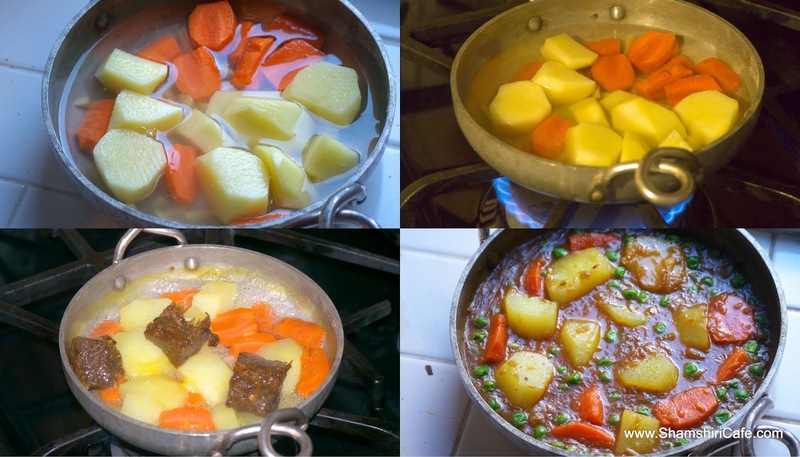 To make the simplest curry, boil the carrot and potato pieces in water (enough to barely cover the vegetable layer). 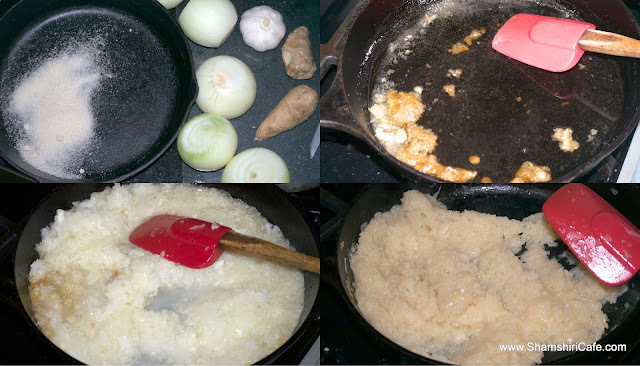 When vegetables are fork-tender, add the roux cubes, starting from the lower limit in the recipe; if the taste is weak to your palate, add more roux. I personally like a thick curry with a strong taste and therefore used the higher end of roux in the recipe. Add the peas and heat up until the curry is thick and shiny. The presented curry is an excellent vegan choice on its own. I also served it with a deep fried egg (top picture) and with grilled chicken (as seen above).